Kūlia cooks! 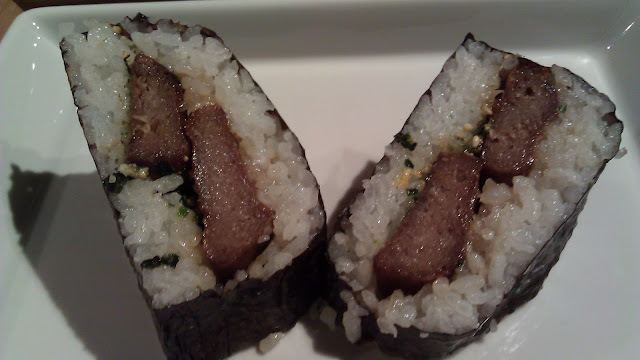 : Vegetarian "No-SPAM" musubi... I am not kidding! Vegetarian "No-SPAM" musubi... I am not kidding! 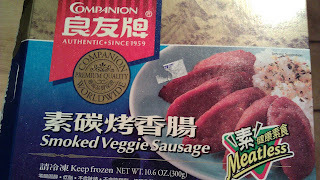 I came across a Chinese vegetarian sausage in my Asian Grocer. I thought it would be a nice quick ingredient to add to my lunch or quick dinner. When I open it, it has a very familiar salty meaty smell. It appeared that the product was deep fried, so I reheated it on a dry fry pan. 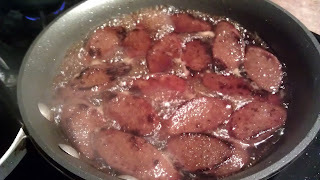 The taste and the texture reminded me of fried SPAM! A couple of my vegetarian friends asked me how SPAM Musubi tasted like, I am so excited that I can now share one of my favorite snack with them! It's lighter, may be healthier and I like this version as much real SPAM! The recipe is very simple, just follow the same instruction on my SPAM Musubi recipe, but replace the Fried SPAM slices with the sausage slices. Assemble the Musubi as directed. I wonder if i can get this online? I will also check the Asian markets here in orlando. Is it Chinese, Japanese, Korean? It's a Chinese product. It's in the frozen food section. I was wondering where in Hawaii you purchased this? thank you! I would try one of the larger store in Chinatown. 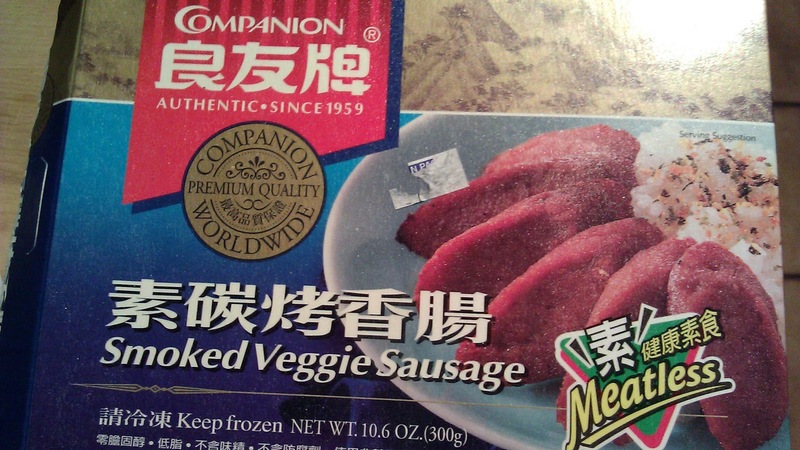 It should be by the vegetarian frozen section or you may find this in the frozen dinner freezer. Thank you so much- I miss musubi and now I can eat it again! !